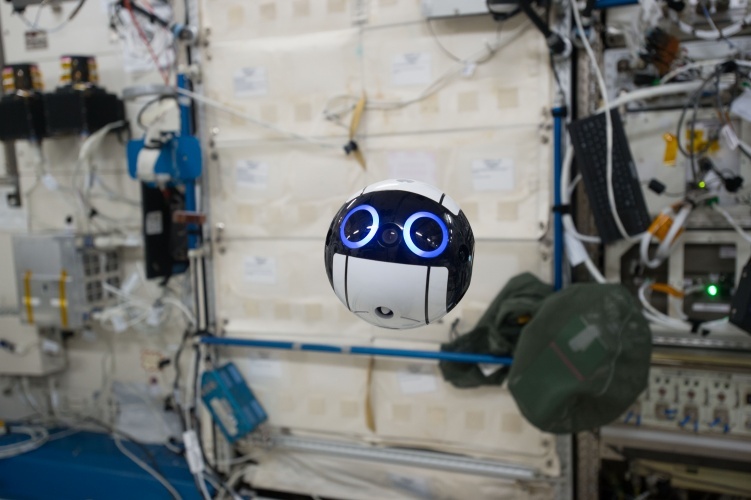 The Japan Aerospace Exploration Agency (JAXA) has released the first images captured by its JEM Internal Ball Camera, a small spherical drone that floats around the ISS recording the work of astronauts on board. Known as ‘Int-Ball’, the device arrived at the space station on a SpaceX Dragon capsule that launched on 4 June this year, and is undergoing initial verification tests. It can move autonomously or be controlled by JAXA from the ground, collecting video or still images. Pictures can be sent to flight controllers and researchers back on Earth in real time, then relayed to the onboard crew. While on board the ISS, the device will have a number of objectives. It will operate in the space station’s Japanese Experiment Module “Kibo”, allowing JAXA scientists on the ground to observe and check the crew’s work from the same viewpoint as the astronauts. According to JAXA, around 10 per cent of working hours on board the ISS are spent recording images, and Int-Ball has been designed to help reduce that number to zero. JAXA hopes to continually improve the drone’s performance and develop its functionality, as well as “promote the automation and autonomy of extra- and intra-vehicular experiments.” It says the project will also serve as a test bed for robotics technology for future exploration missions.